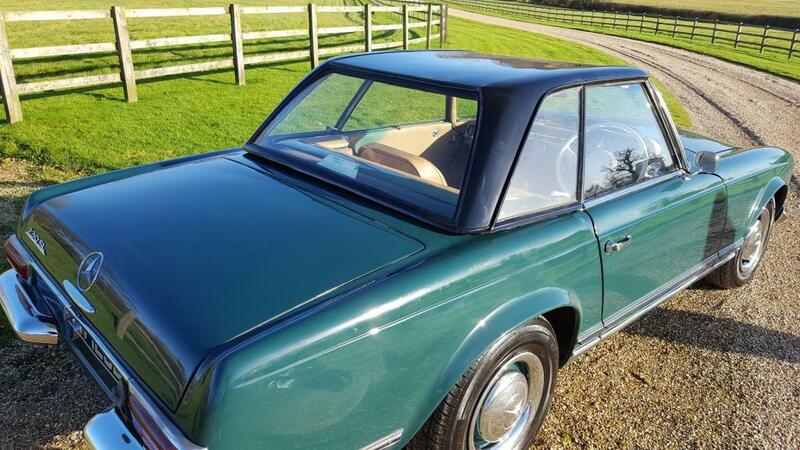 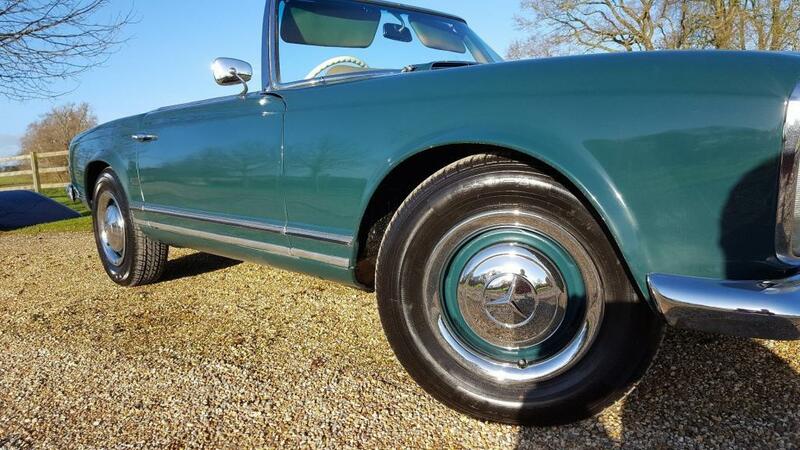 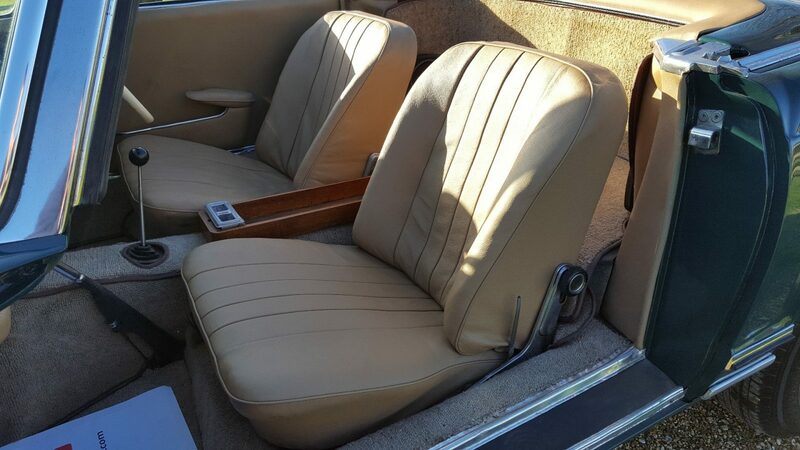 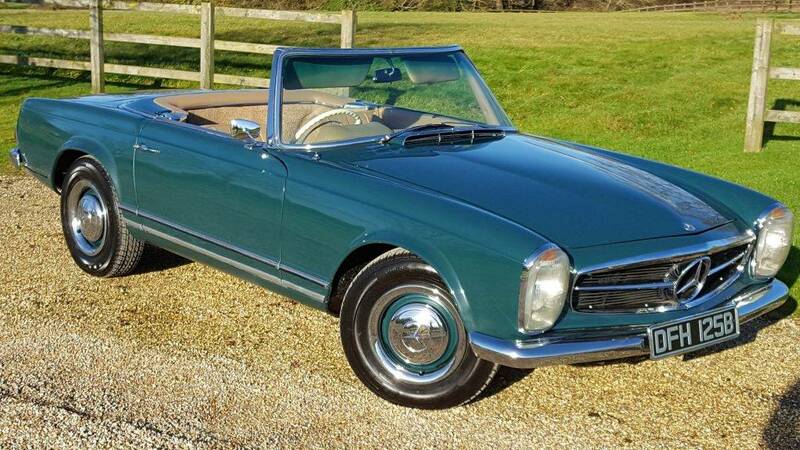 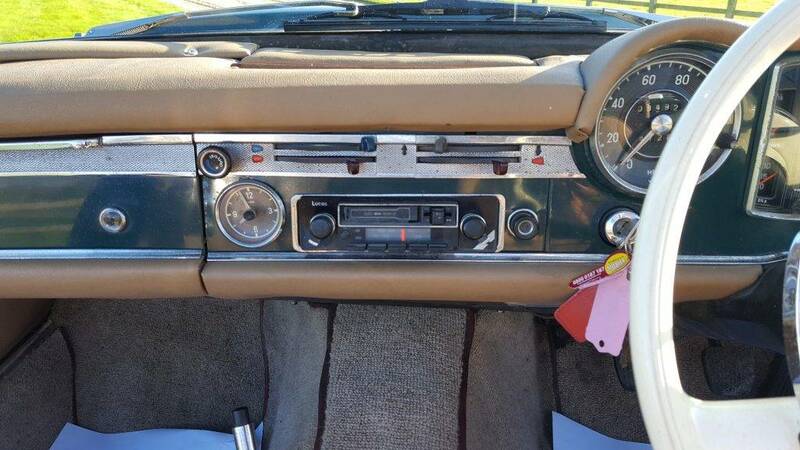 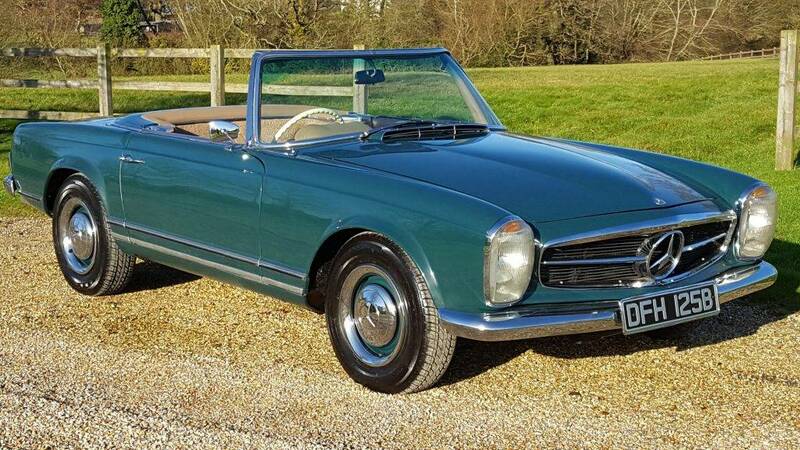 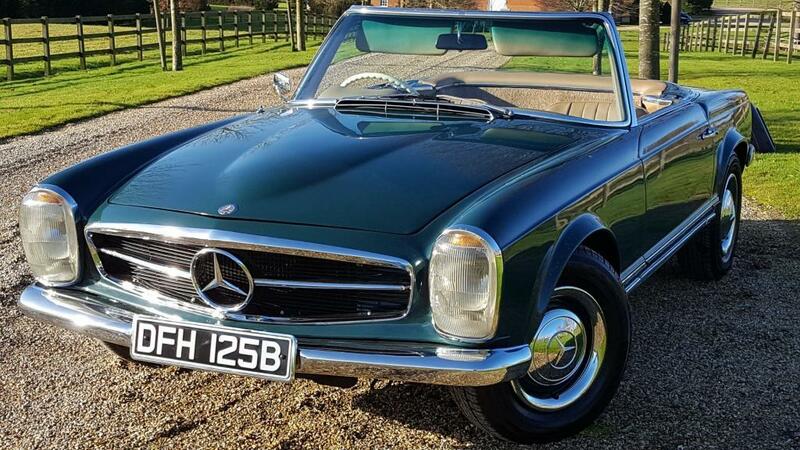 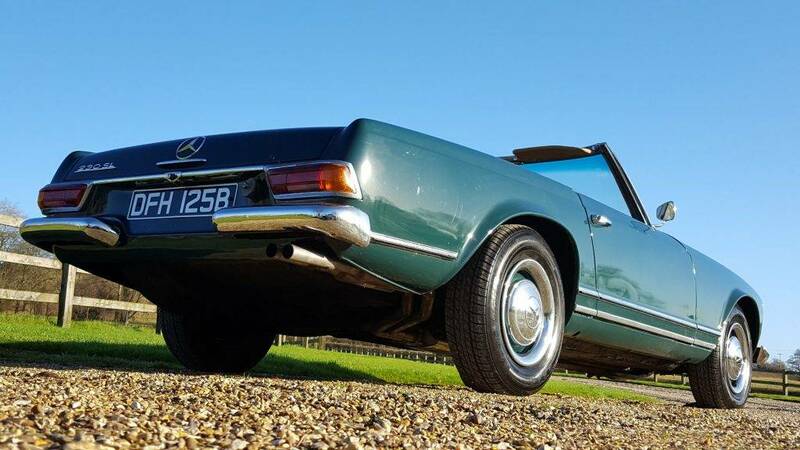 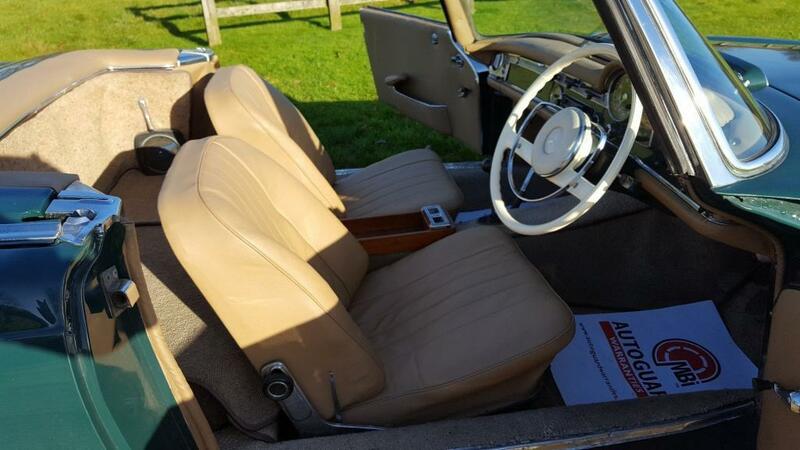 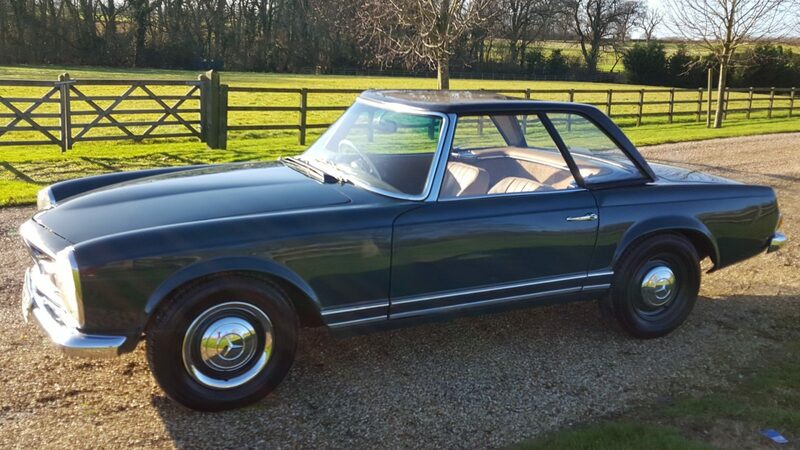 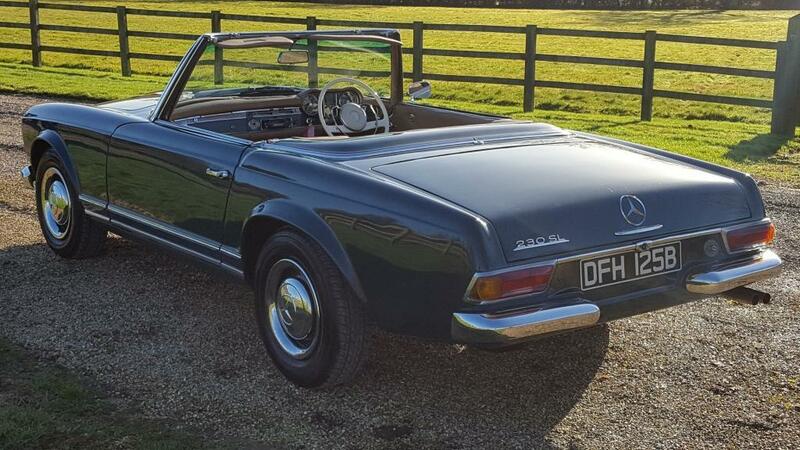 SL Pagoda in RHD of this quality at a fantastic price. 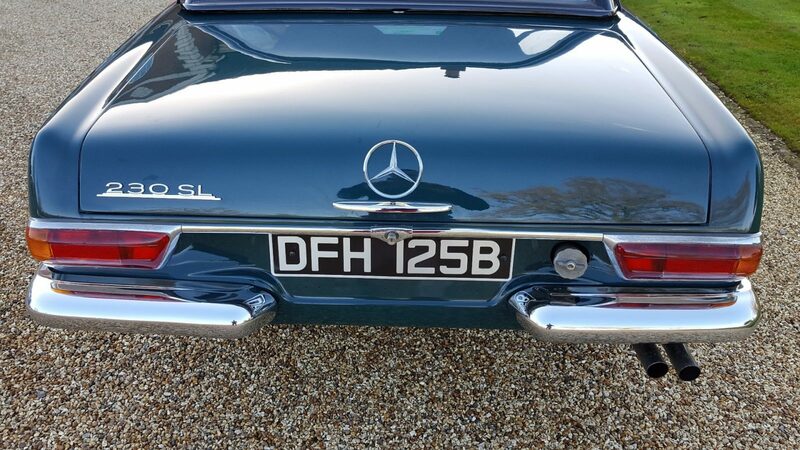 We indeed invested over £18000 into this vehicle when we got it find better. 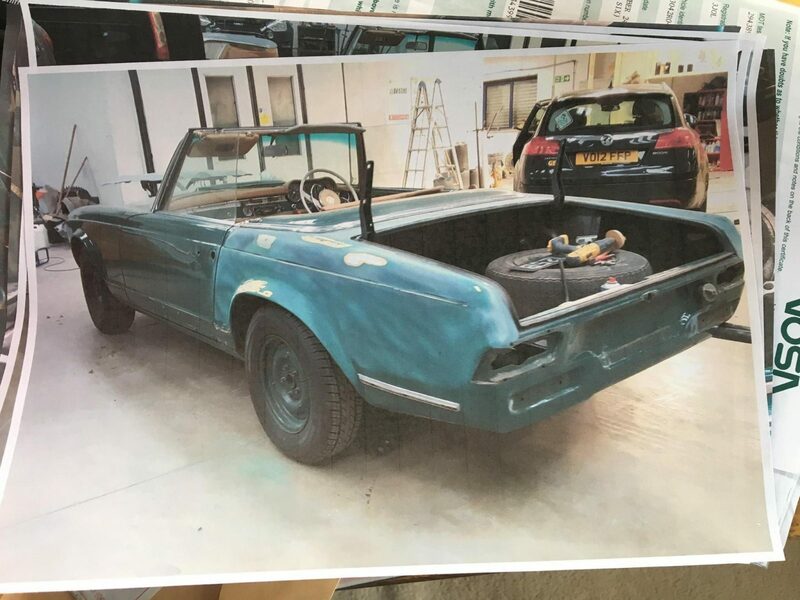 This vehicle was part of a large collection of vehicles that a gentlemen owned. 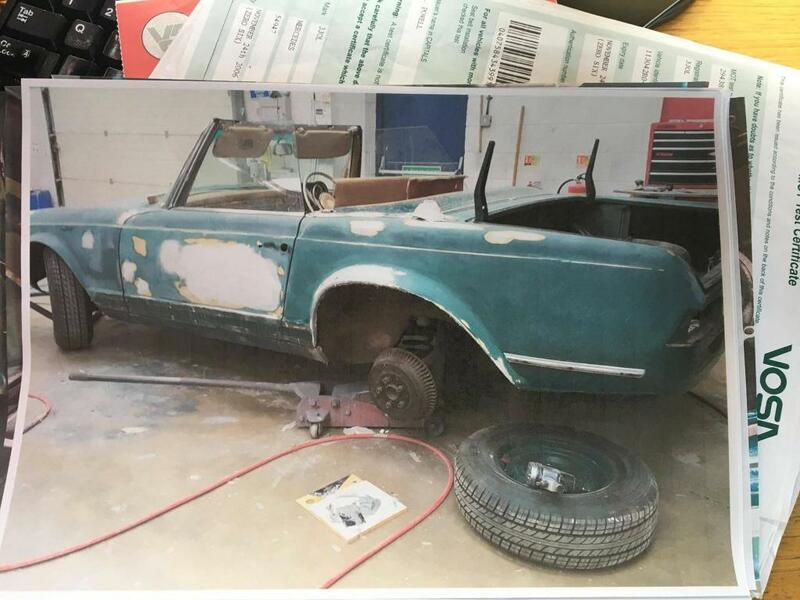 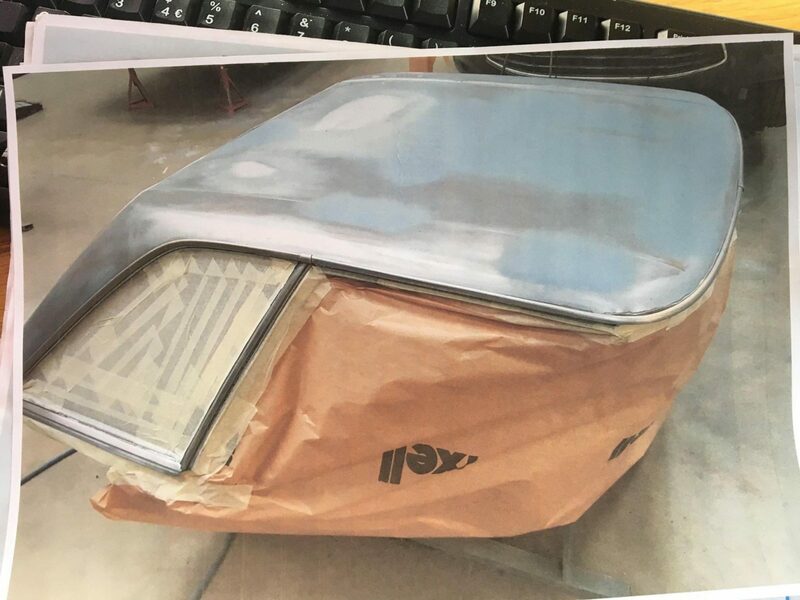 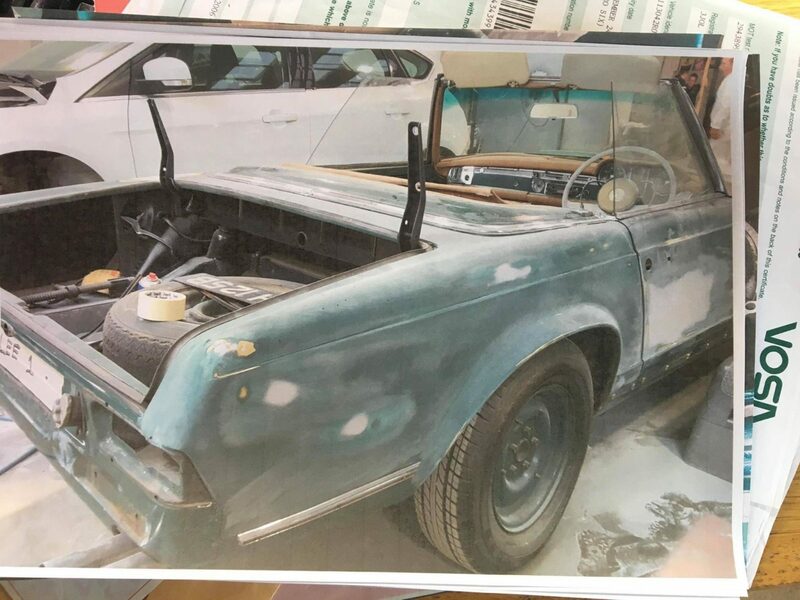 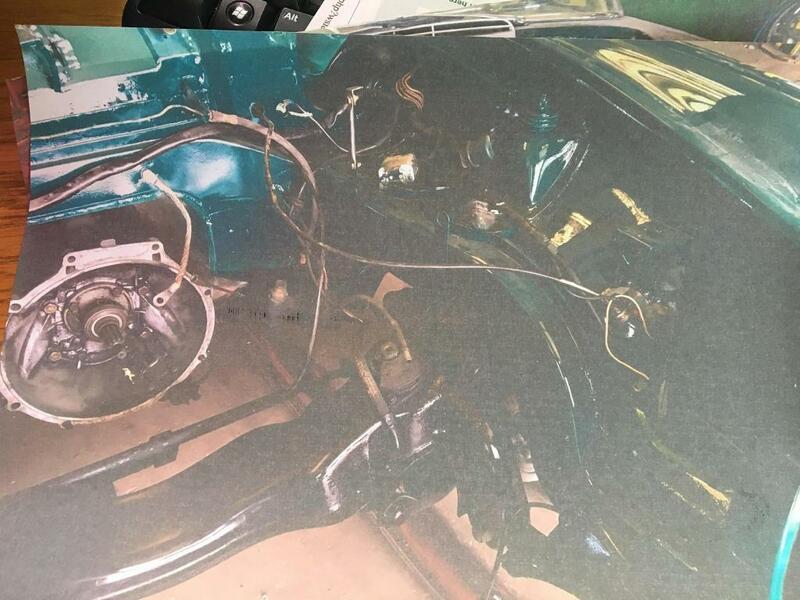 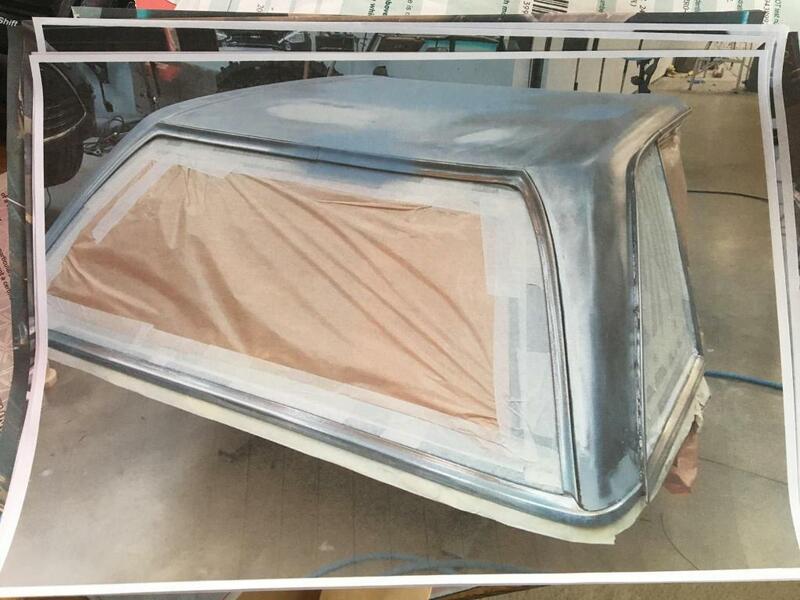 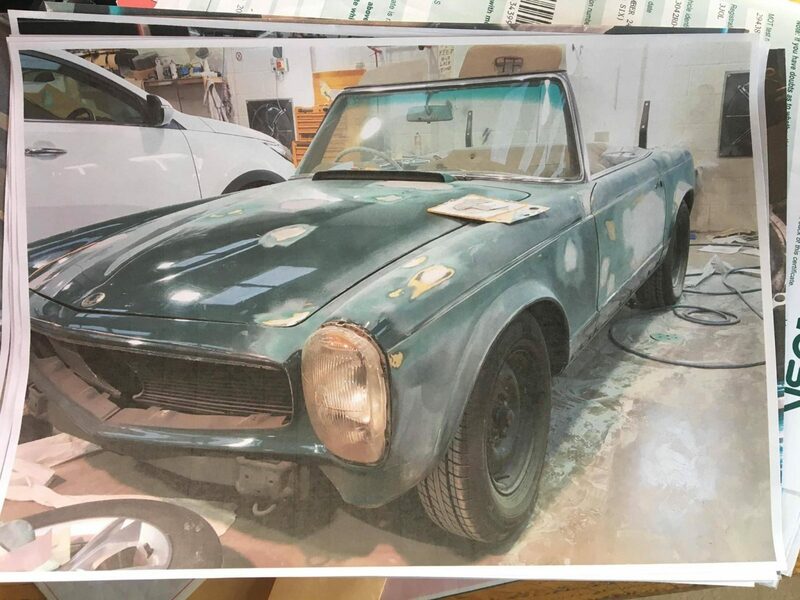 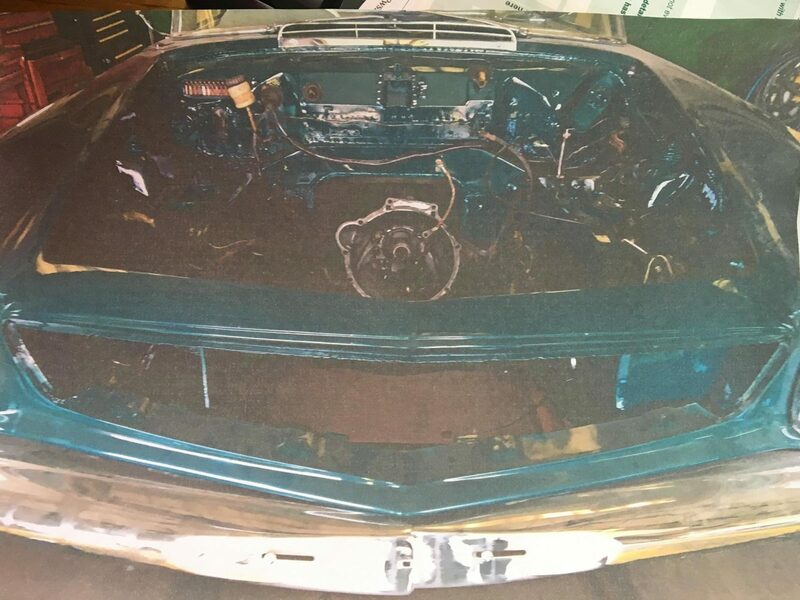 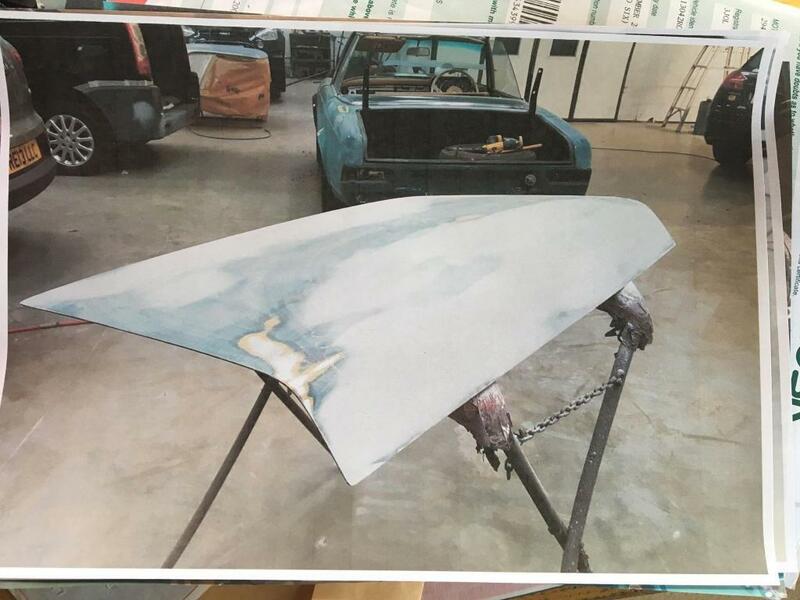 He purchased back in 1992 in 2010 the vehicle was transferred in ownership to his family when he sadly passed away. 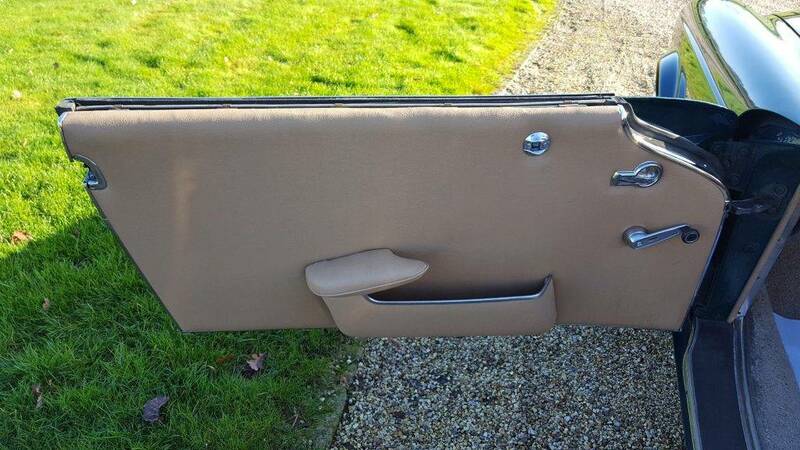 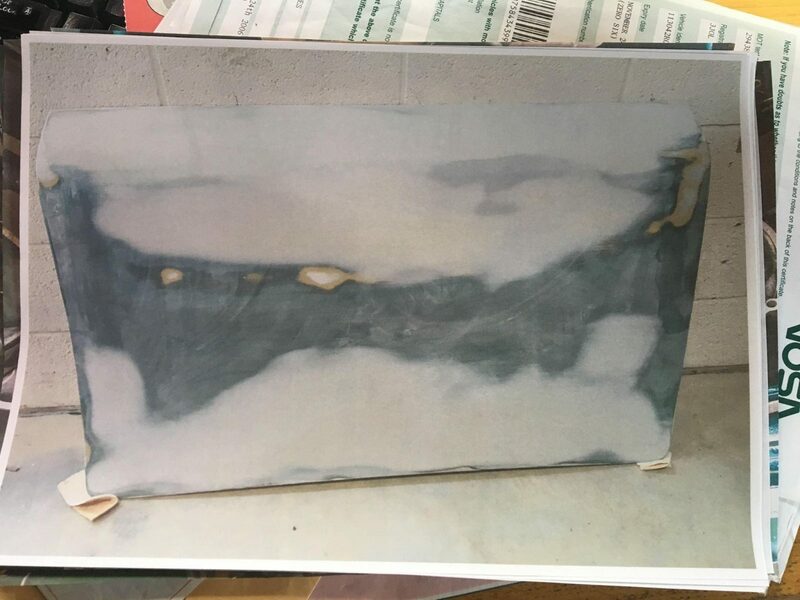 It was used for a number of years then was put into dry storage c 6 years ago. 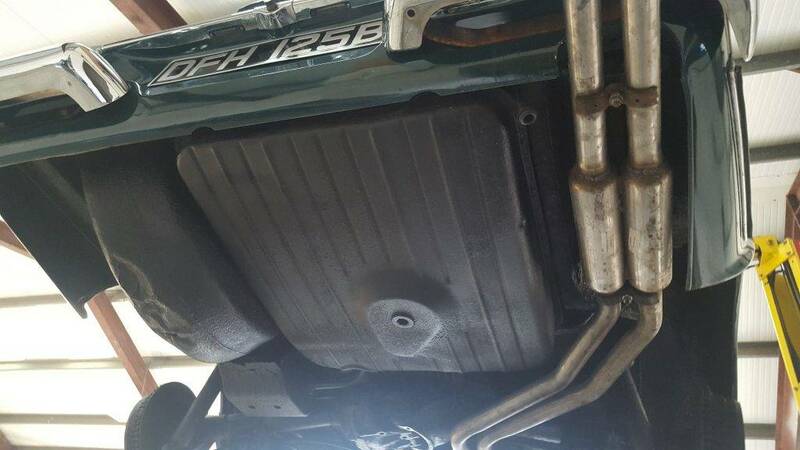 Launched in 1963 the w113 class spanned 3 engine sizes all looked identical with a low waistline. 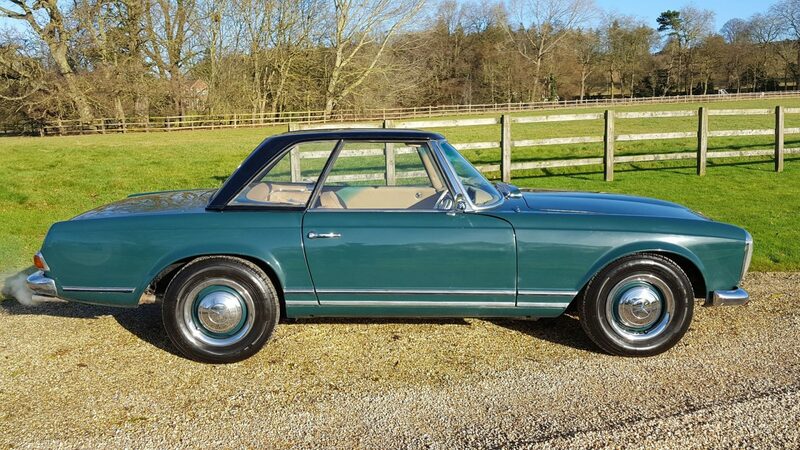 Wide stance fishbowl headlights and big curved windows topped with the distinctive dished removable hard top hence the Pagoda name. 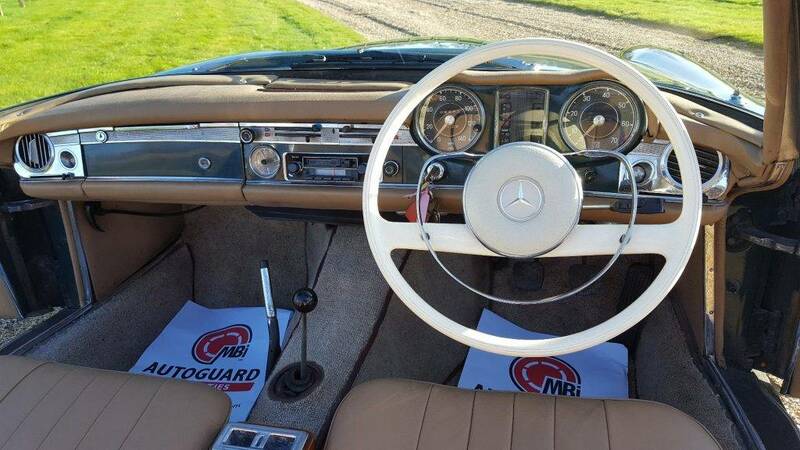 The vehicle indicates 8000 miles and back in 2004 it indicated 5000 miles it is our belief the vehicle had a restoration back in 1990s and the vehicle has covered c 8000 miles since that date and the mileage was reset to zero at this time. 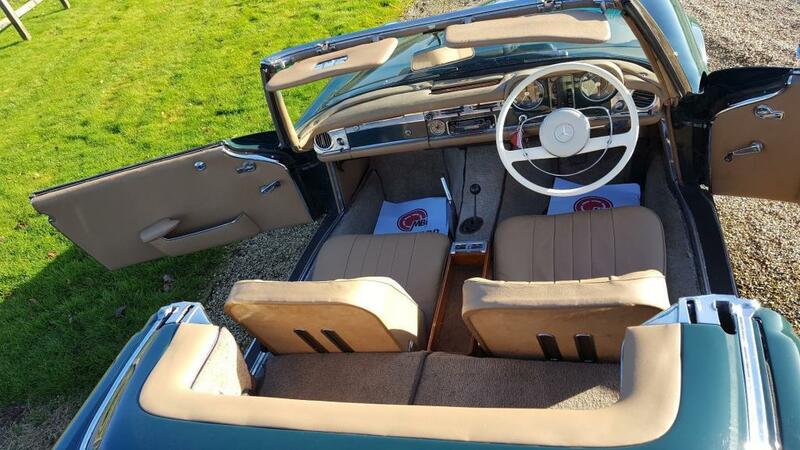 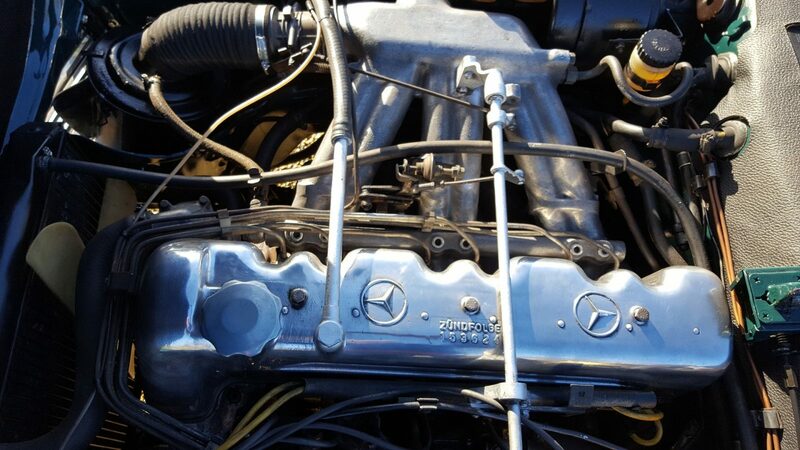 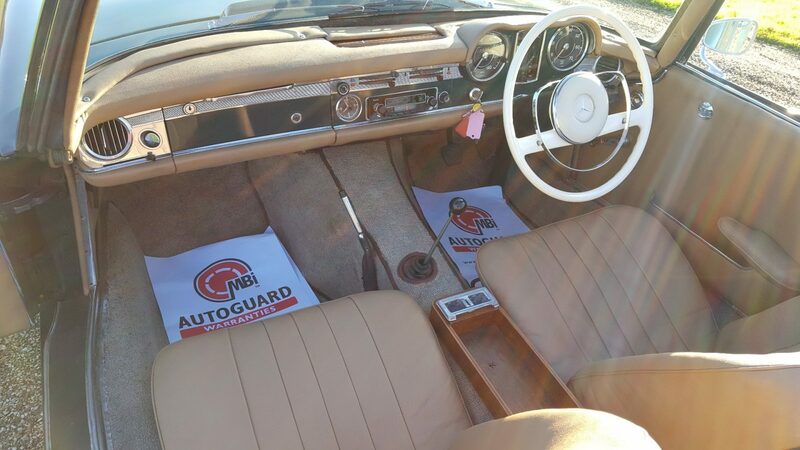 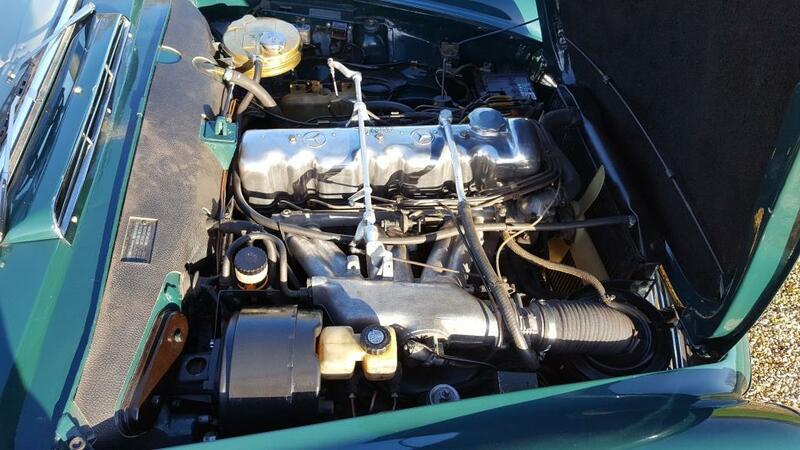 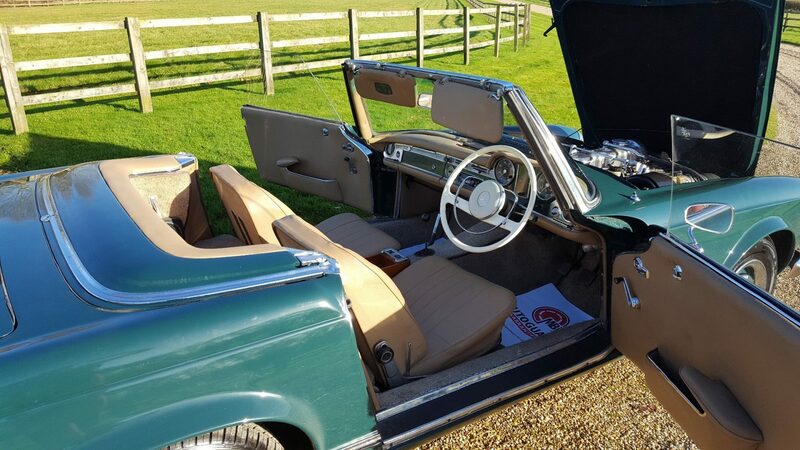 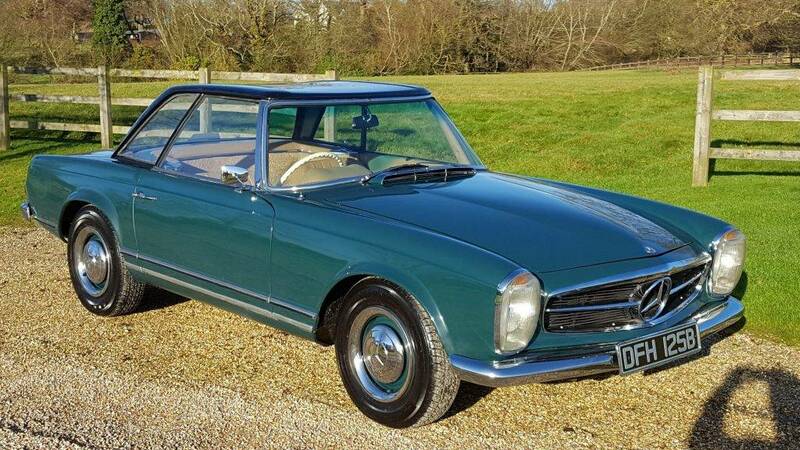 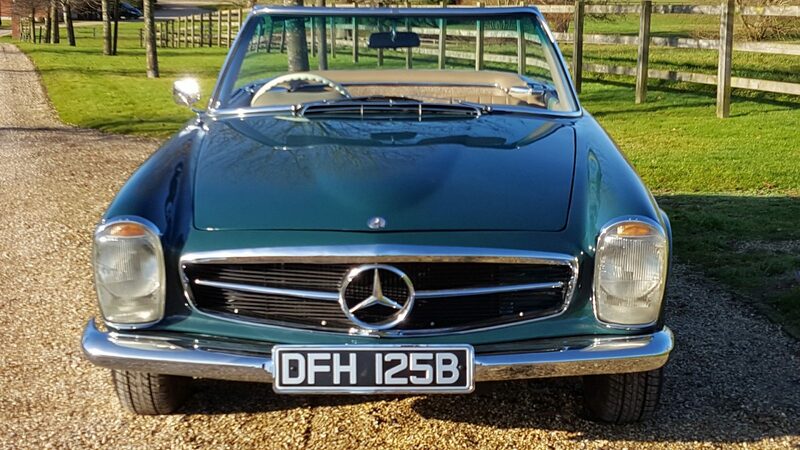 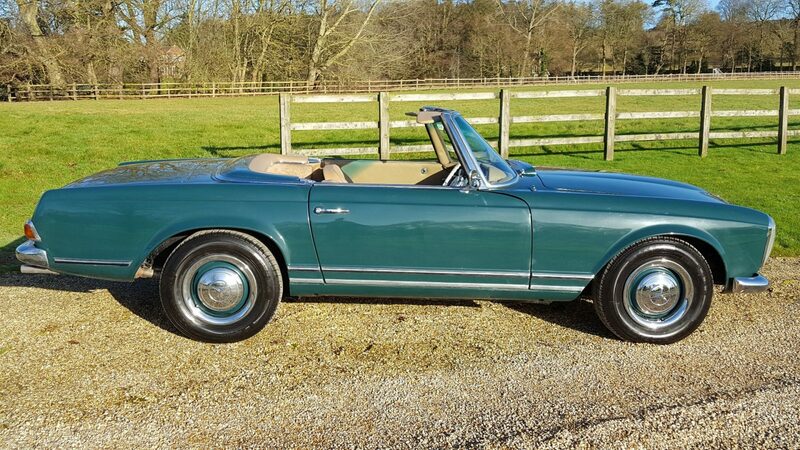 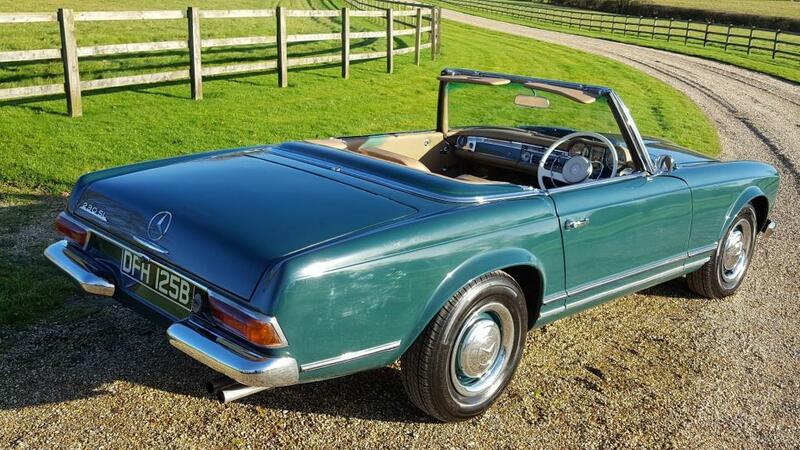 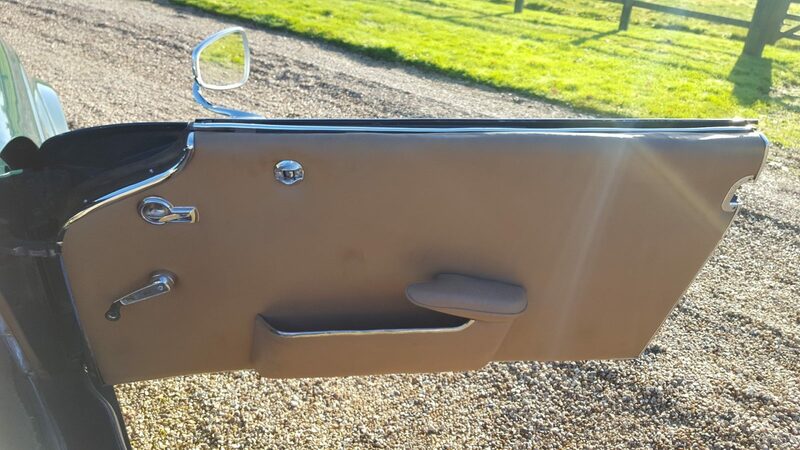 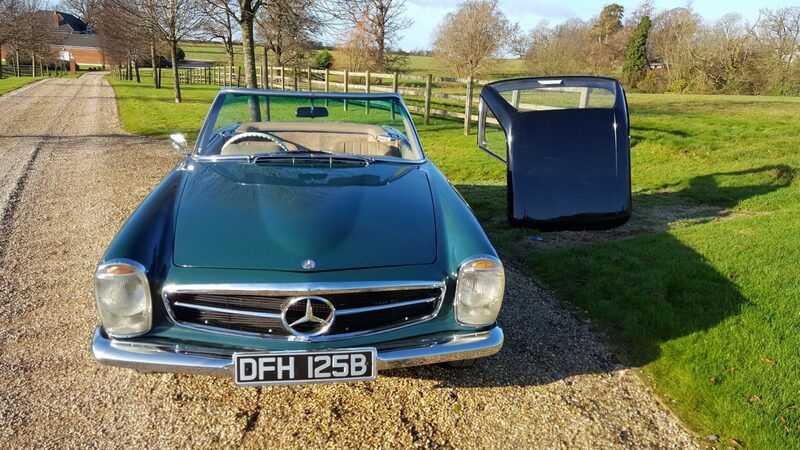 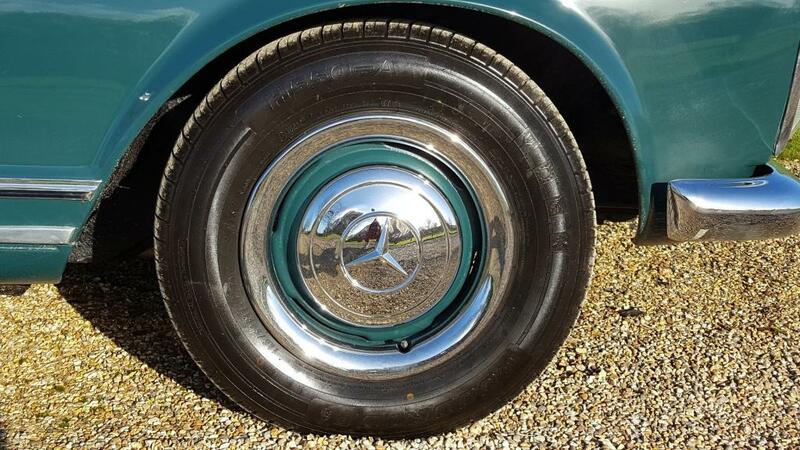 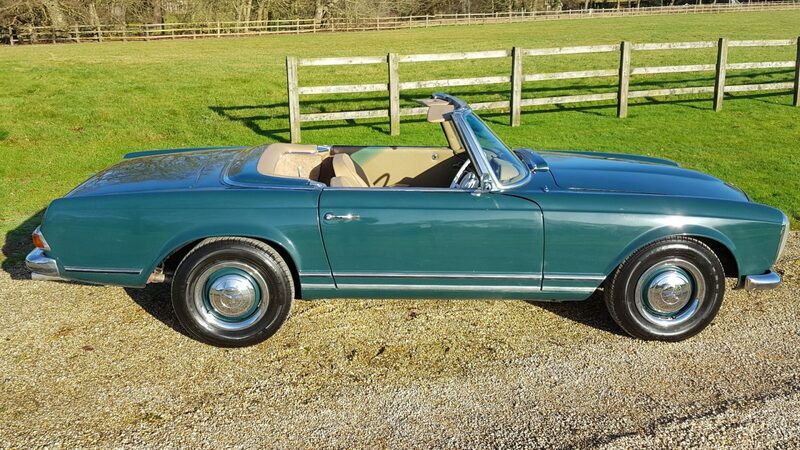 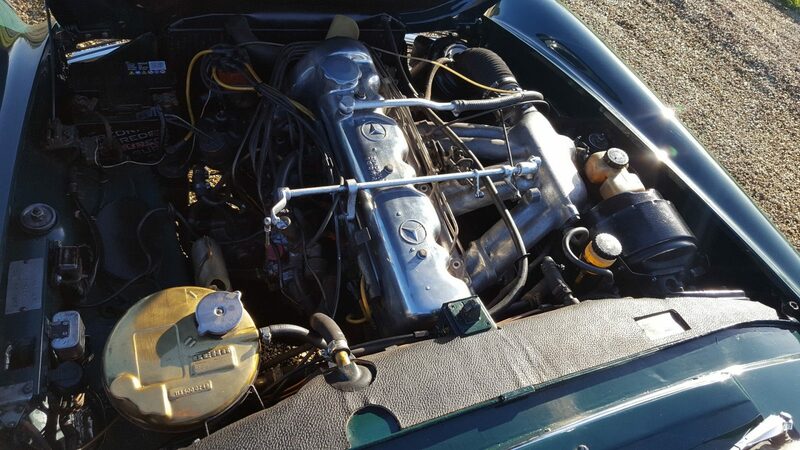 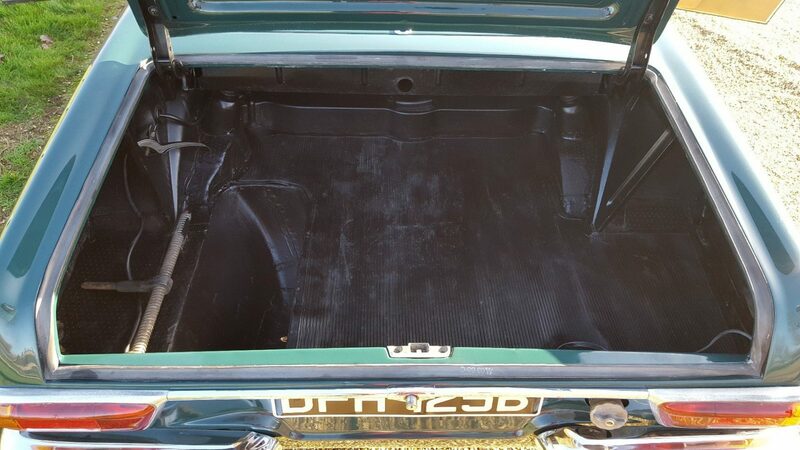 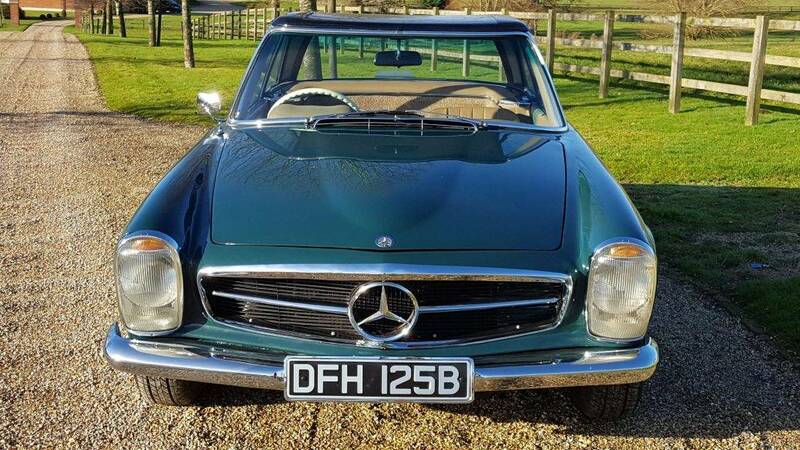 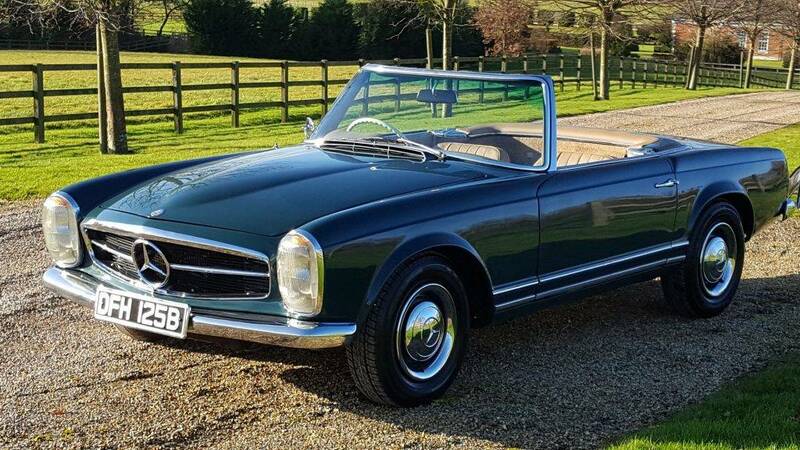 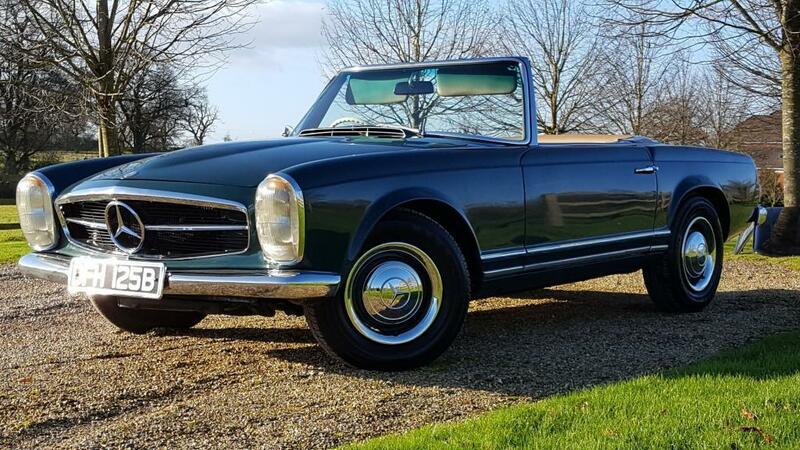 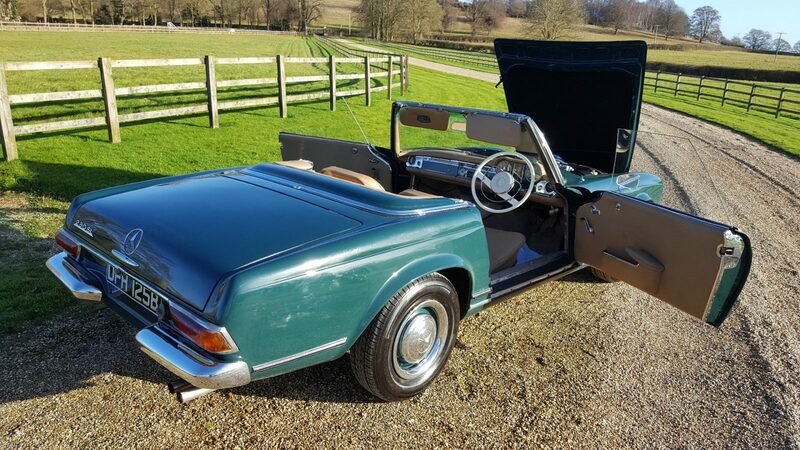 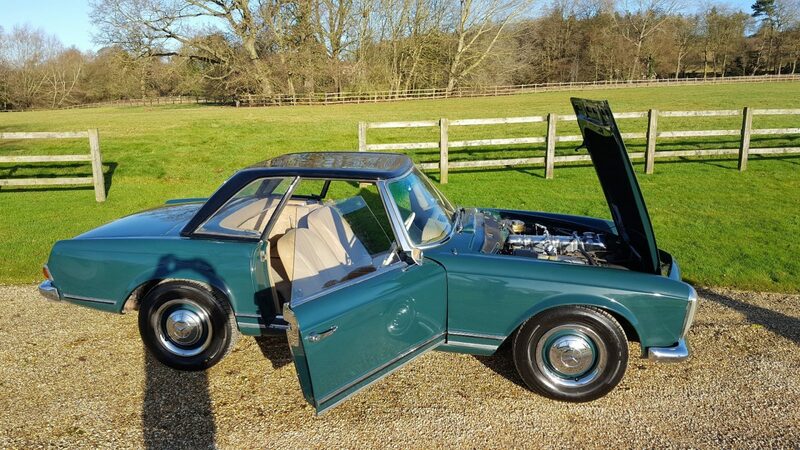 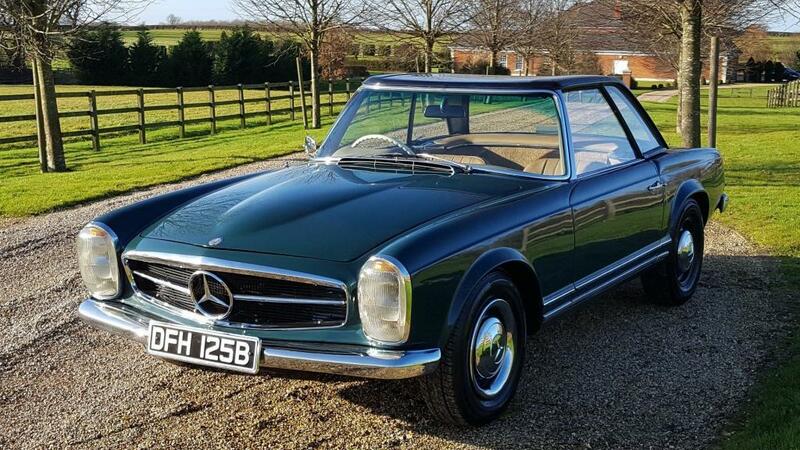 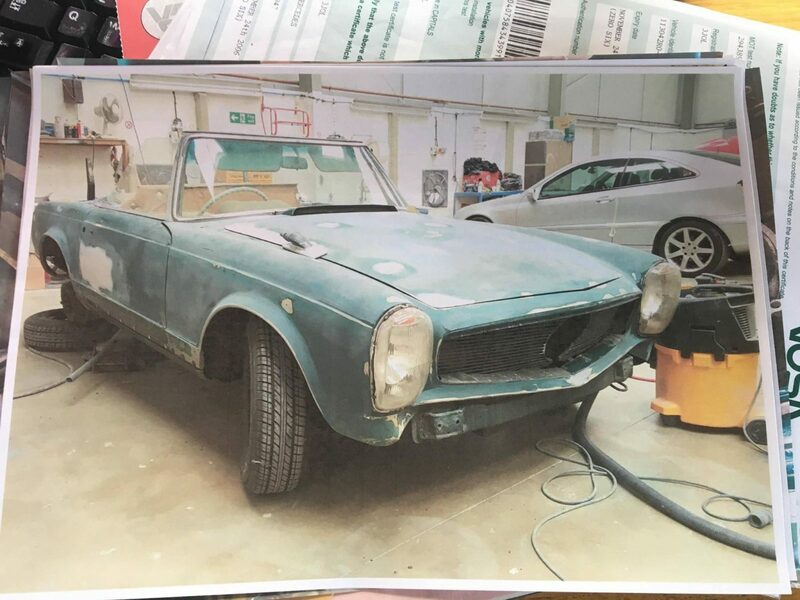 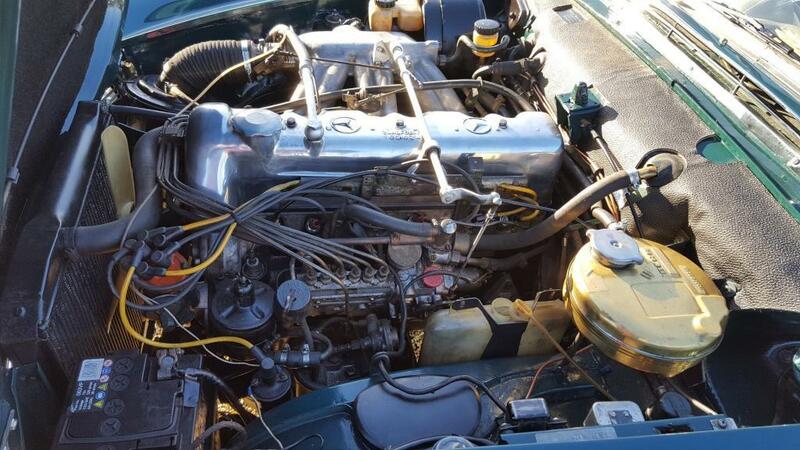 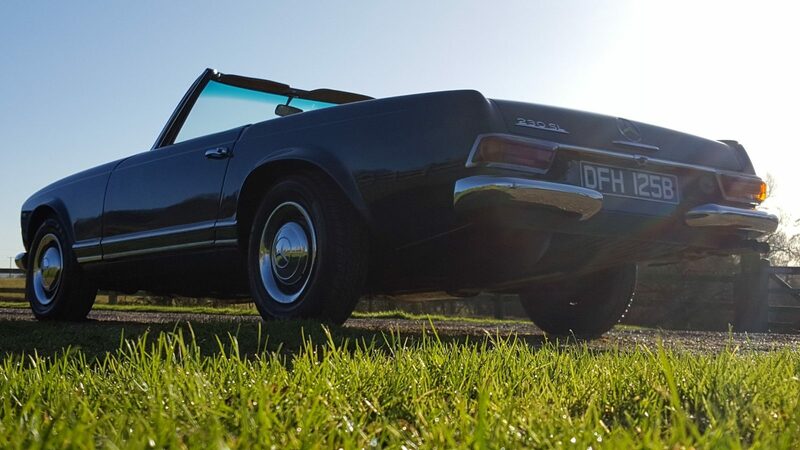 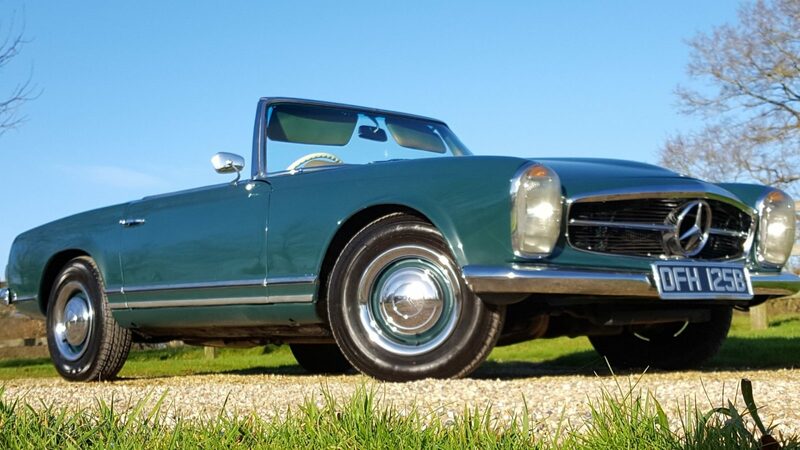 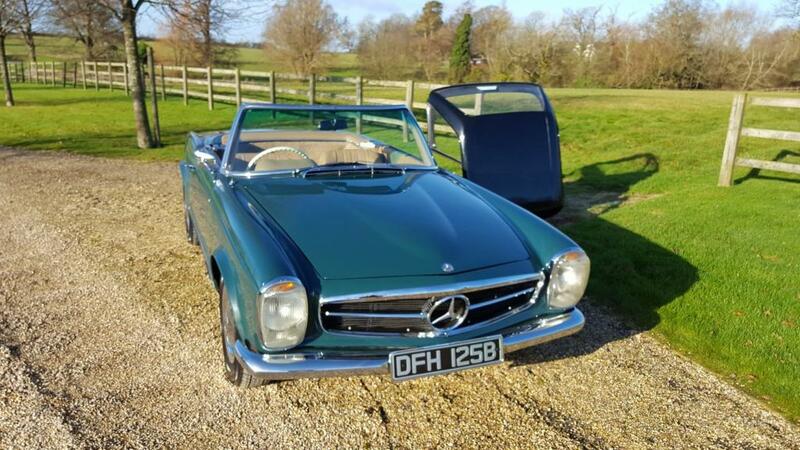 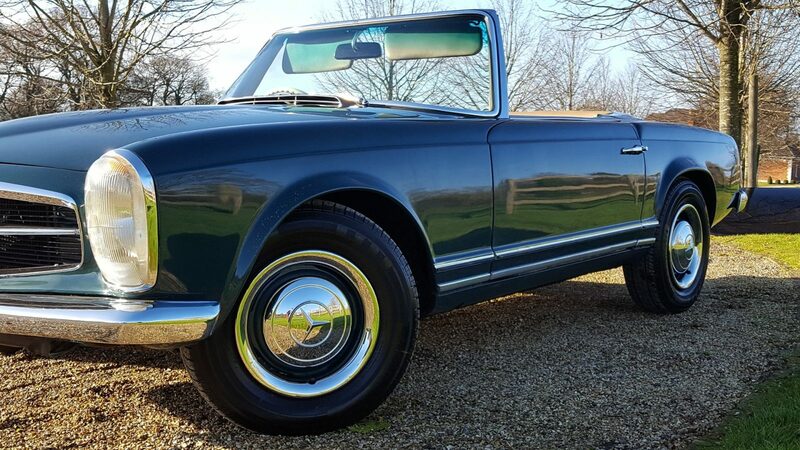 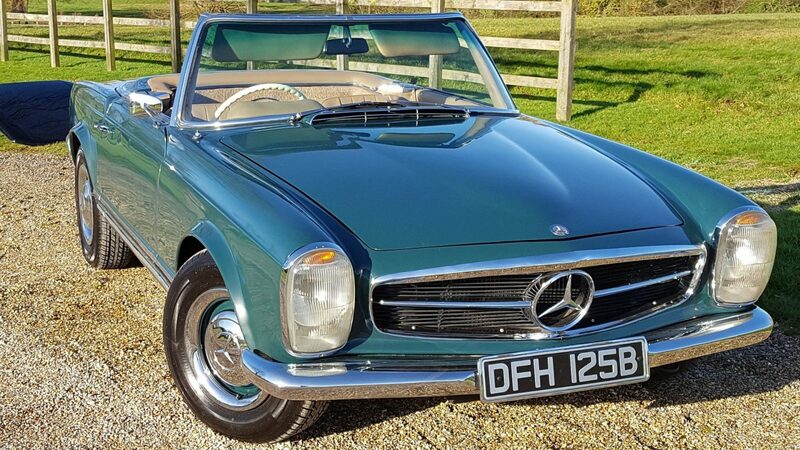 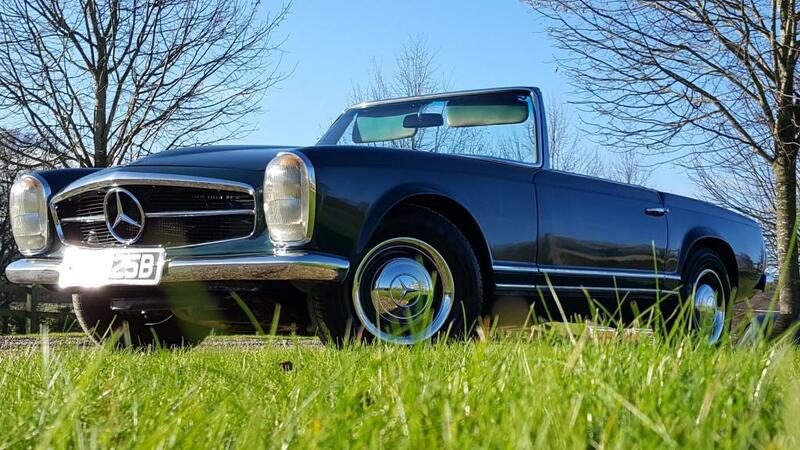 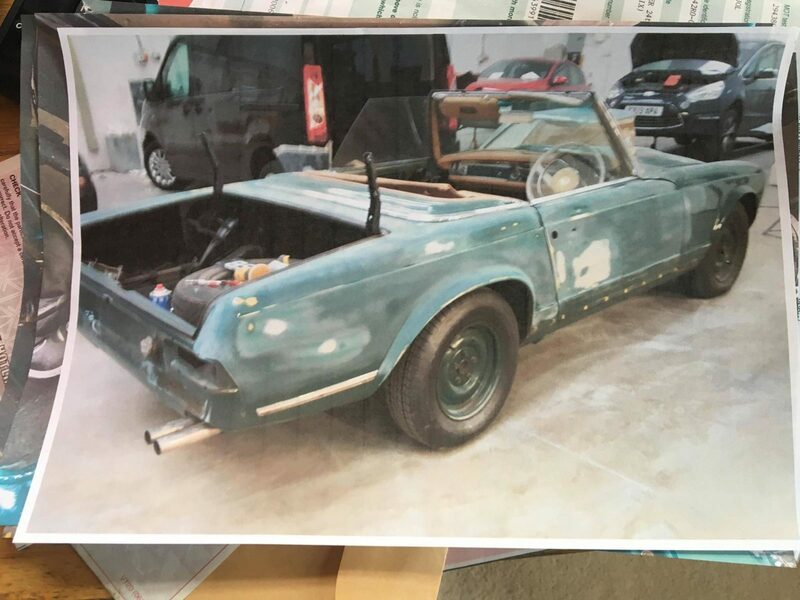 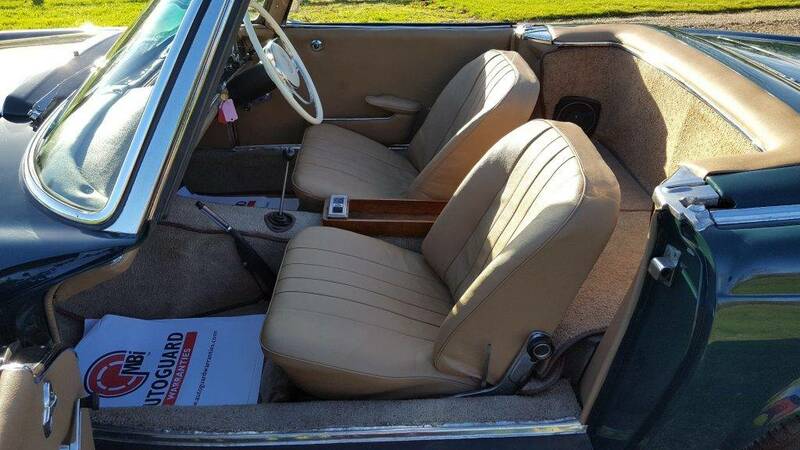 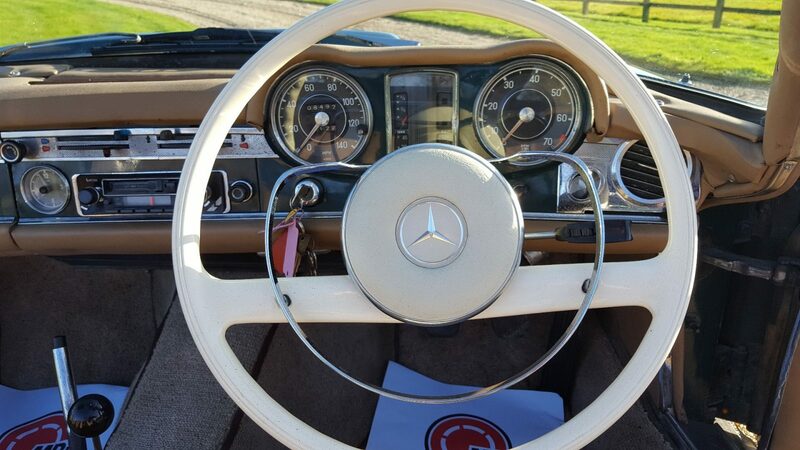 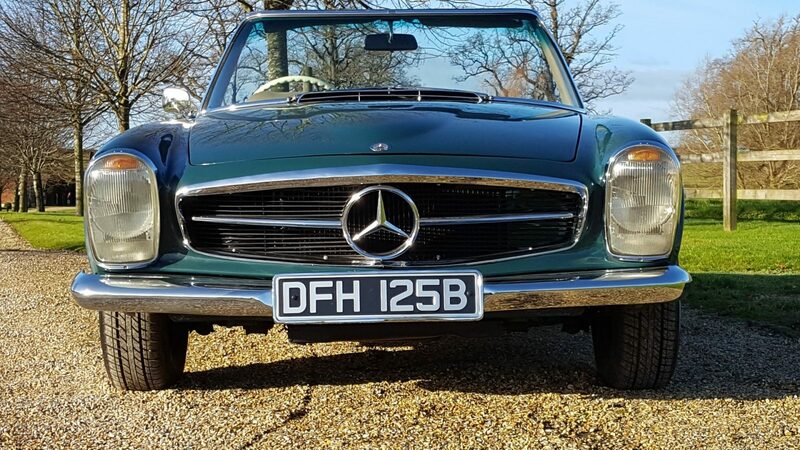 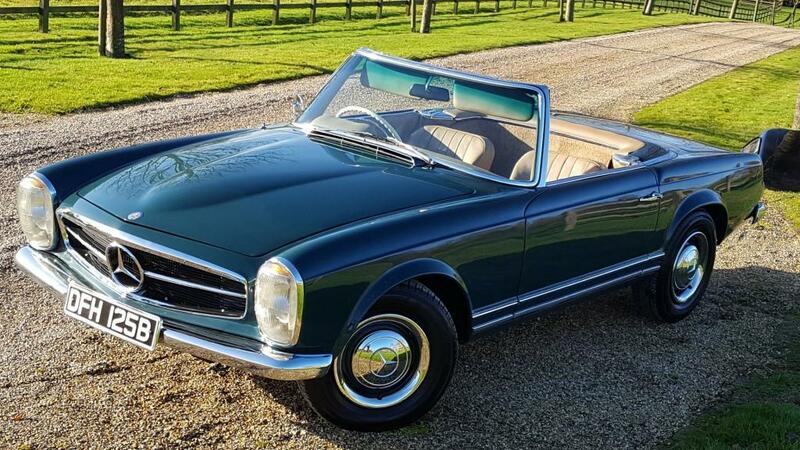 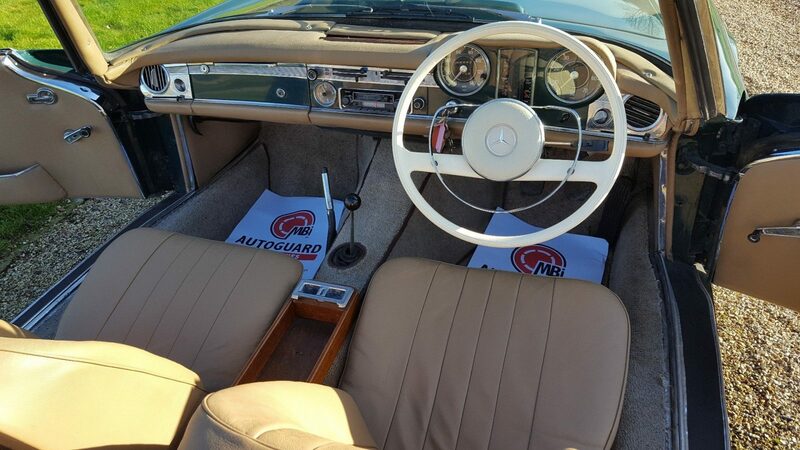 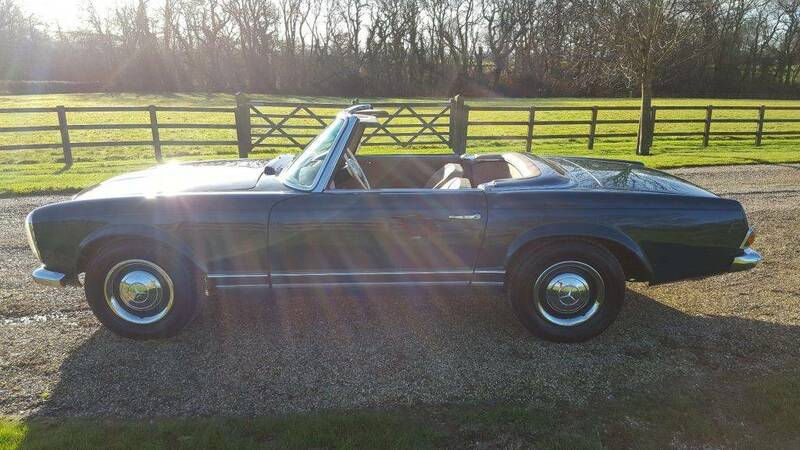 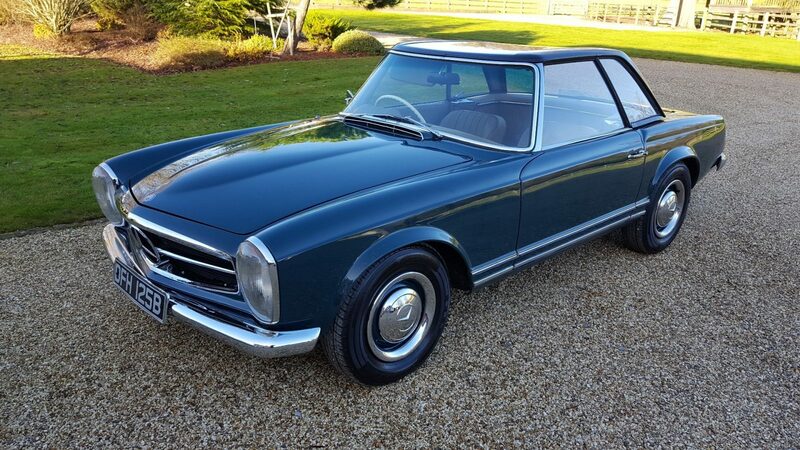 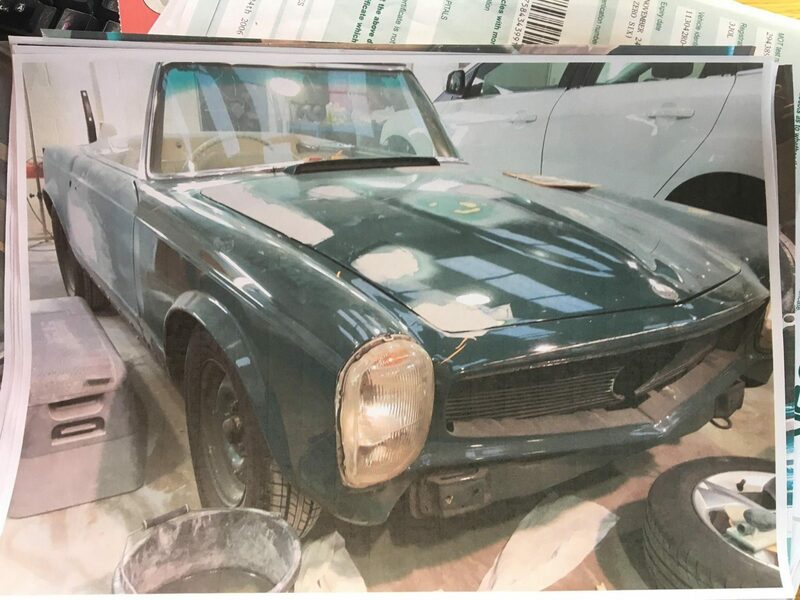 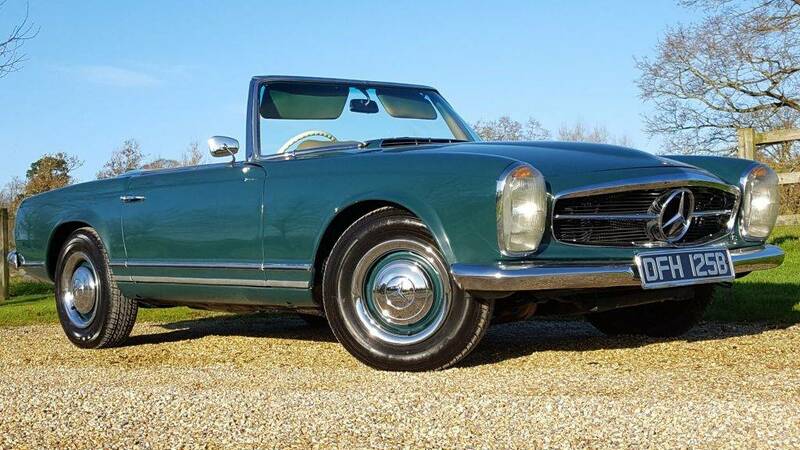 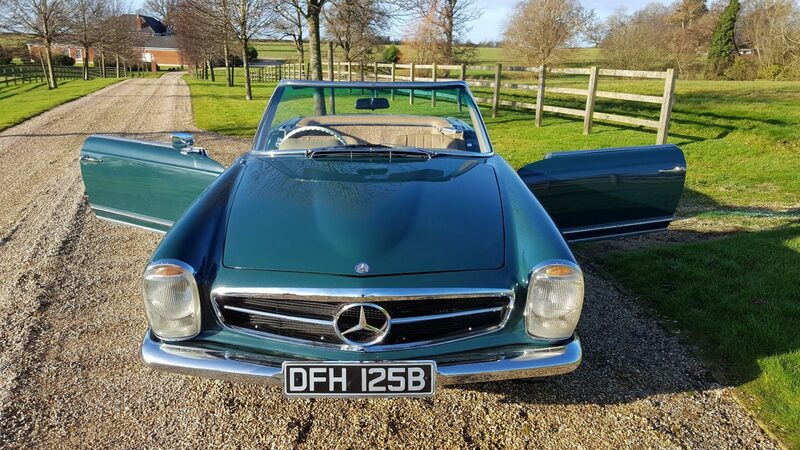 This is a genuine UK supplied right hand drive Mercedes Pagoda which we have history in part for and a big selection of past MOTs along with a selection of bills etc dating back to many years prior. 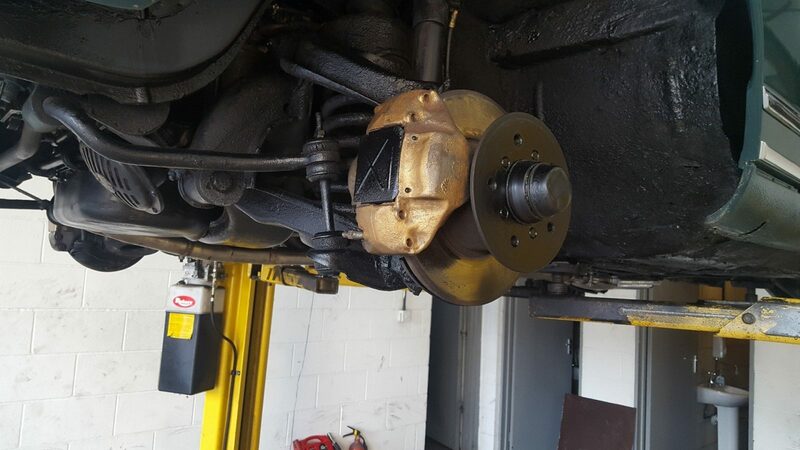 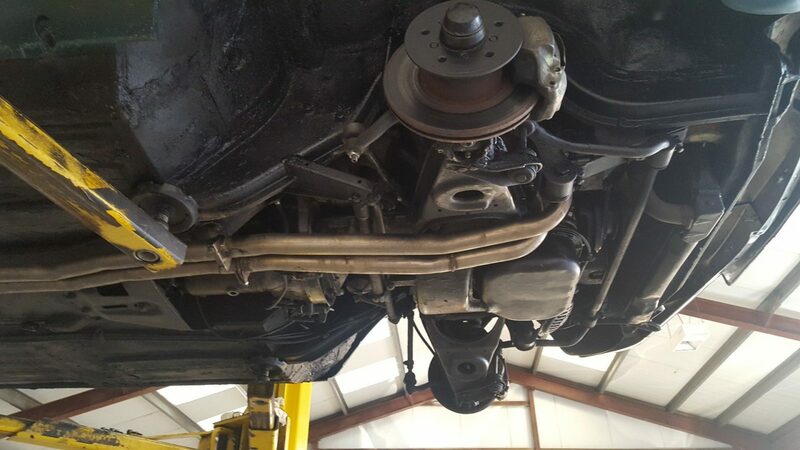 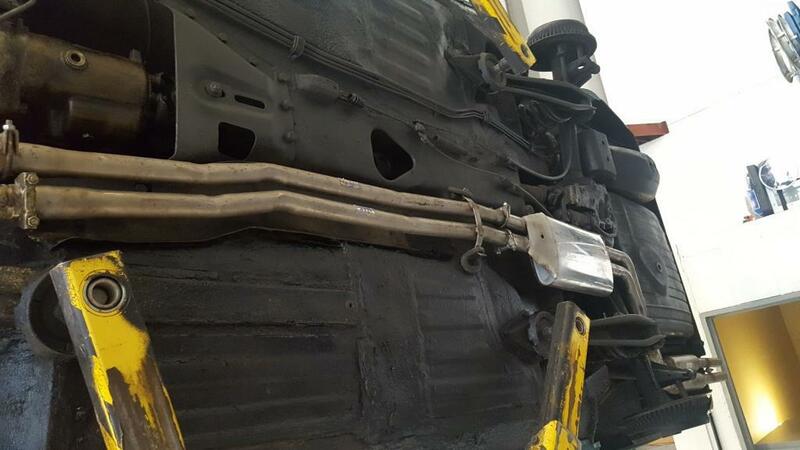 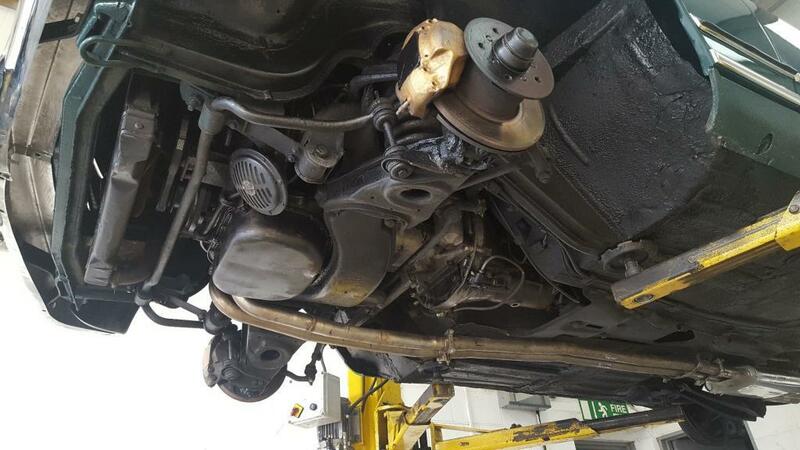 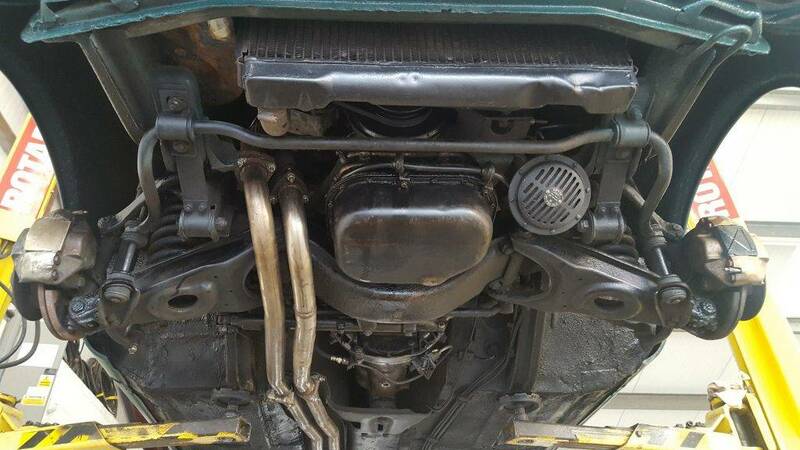 This vehicle has had a full bare metal respray we have invested 100s of hours and over £18000 in time and materials restoring the vehicle to its current stunning condition under the bonnet the engine was taking out and the engine fully rebuilt all the various pipes detailed and brasswork highly polished indeed under the bonnet looks as good as the exterior new carpets all chrome either refurbished or replaced where required new parts were put in and ohers not required refurbished and cleaned to new. 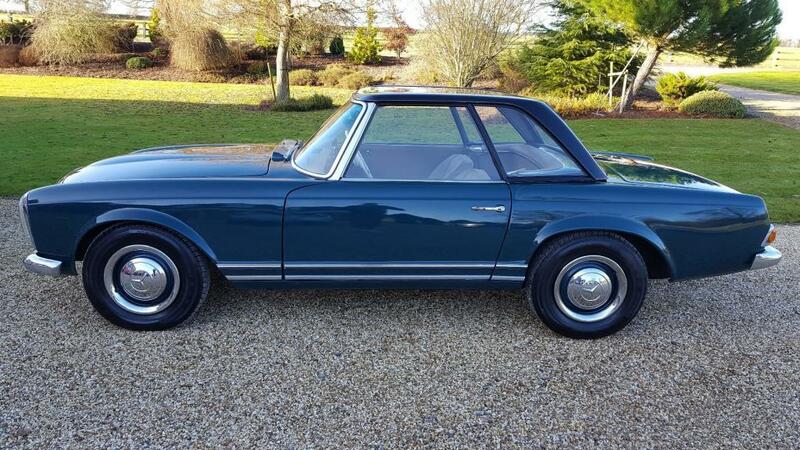 A sure fire investmant and a lovely looking Pagoda that is simply lovely and in such fine fettle.